Kylie Minogue got fanmail from the Taoiseach. 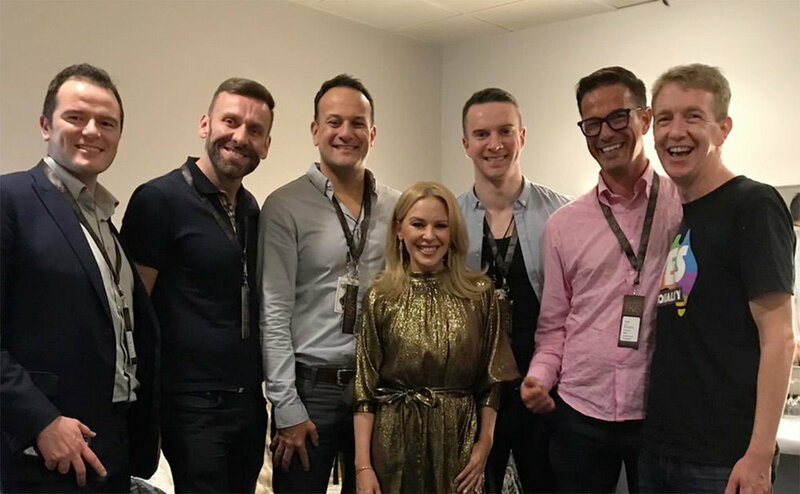 Taoiseach Leo Varadkar asked Australian pop star Kylie Minogue if he could welcome her to Ireland personally when she came to Dublin for a concert last year. Mr Varadkar wrote a note on official headed notepaper from the Office of the Taoiseach, which was released following a freedom of information request by the Mail on Sunday. The letter, which was signed “Leo V Taoiseach (Irish Prime Minister)” was sent before Ms Minogue’s planned concert at Dublin’s 3Arena on October 7, which she had to reschedule due to a throat infection. The Mail on Sunday, which obtained the letter, reported that the Department of the Taoiseach twice refused a request for the letter to be released under Freedom of Information legislation, arguing that it was written in a personal capacity by the Taoiseach and “does not relate to matters arising in the course of, or for, the purpose of the Taoiseach’s functions as the head of Government”. Ultimately the Taoiseach consented to the release of the letter after an appeal against the decision was refused. Mr Varadkar received a phone call from the singer apologising for the cancelled gig, the paper reported. He eventually went to the rescheduled concert, which took place in December and met the singer after the gig.